It’s really hard for me to write about, or even seriously listen to Jazz music, as this extensive genre seems to have missed my musical attention for far too many years to be able to fix this. However, What ‘Platform’ does on “Anthropocene” is clearly beyond what my ears are used to call Jazz music. With a piano, drums, cello and clarinet, Jonas Cambien, Jan Martin Gismervik, Kathrine Schiott and Xavier Charles are exploring acoustic drones and the boundaries of their instruments through free improvisation music that is based on free, abstract Jazz, only to spread wings and fly away into more meditative and psychological regions of mind&music. The members of Platform remind us that they do know what Groove and melody are, though. Through these hypnotic clouds of inward conversation between these talented musicians, they kindly offer a smart progress into a more structured melody, only to break it down into the magical dust that flows throughout the majority of the album. 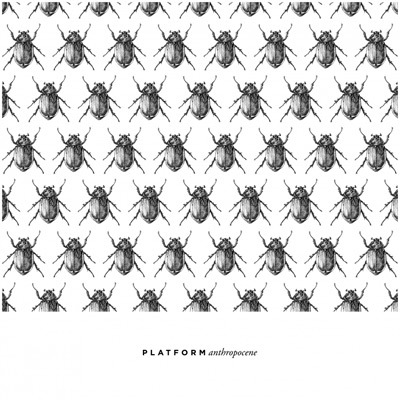 If this didn’t convince you yet, Platform’s album also looks wonderful. Check it out.